I am working on one of my favorite app as title above. Daily I finish some part but same time I struggle to clear some bugs. I hope I will be able to launch end of this month. Now I have completed First version of the App and available on Google Play, Link. Improve your English language with easy quiz game where you learn grammar. English is the most common language spoken everywhere. With the help of developing technology, English has been playing a major role in many sectors including medicine, engineering, and education. It is the only language that truly connects the whole world or best way of communication for people all around the world. nouns, determiners, pronouns, verbs, adjectives, adverbs, prepositions, and conjunctions are main part of speech in English language. Nursing is Noble Profession inside health care system. Its required dedication, passion and enthusiasm from inside. I you want to a nurse you must have certain level of knowledge and skill. 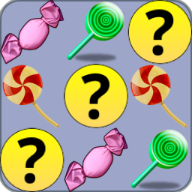 This app will test your knowledge and improve as well with lot of fun. In order to become a registered nurse, one must complete a program recognized by the Nursing and Midwifery Council. Currently, this involves completing a degree, available from a range of universities offering these courses, in the chosen branch specialty (see below), leading to both an academic award and professional registration as a 1st level registered nurse. Such a course is a 50/50 split of learning in university (i.e. through lectures, assignments and examinations) and in practice (i.e. supervised patient care within a hospital or community setting).